A nymphomaniac follows the man she loves, too shy to talk to him. She lives in her closed world until she meets an uninhibited blond girl, who destroys the rules of her inner world. Born in 1988. She has directed amateur stage performances and music clips. 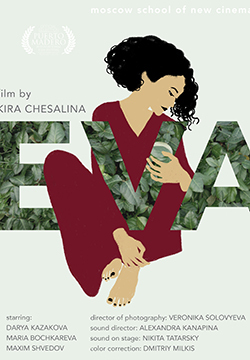 In 2016 completed the Moscow School of New Cinema and made the short “Eva”.